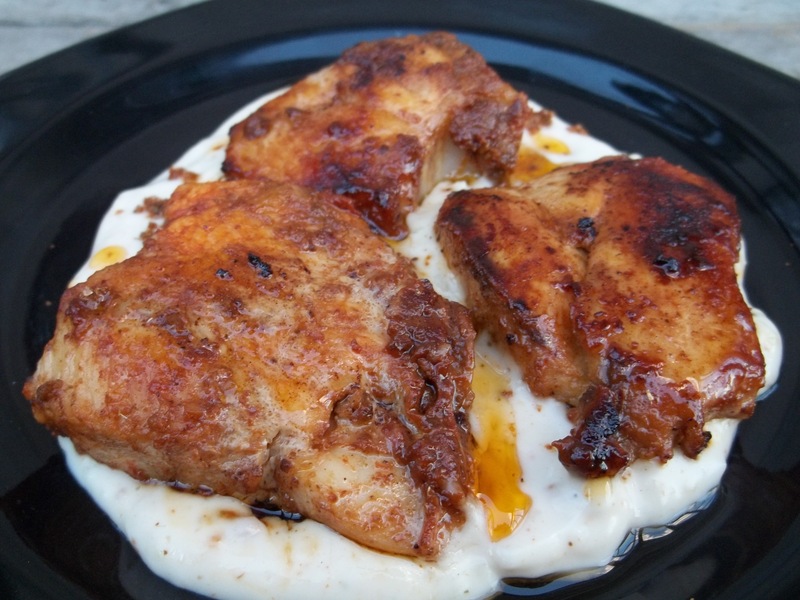 In this family recipe we show how to make chicken flavored with Georgia’s famous Svanetian salt (Georgian: სვანური მარილი). 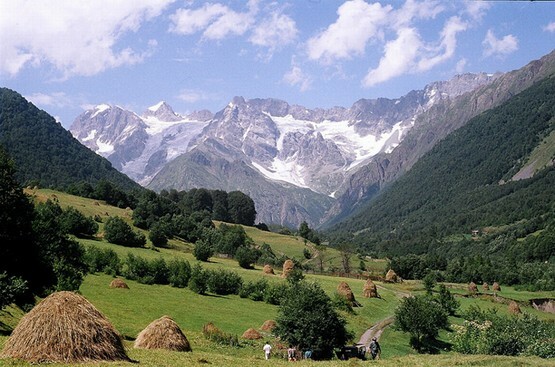 Svanetian salt comes from Svaneti region in the mountainous north-western part of Georgia. It has a unique fragrance and taste and is traditionally used as a flavoring for a variety of meat, fish, potato and soup dishes. 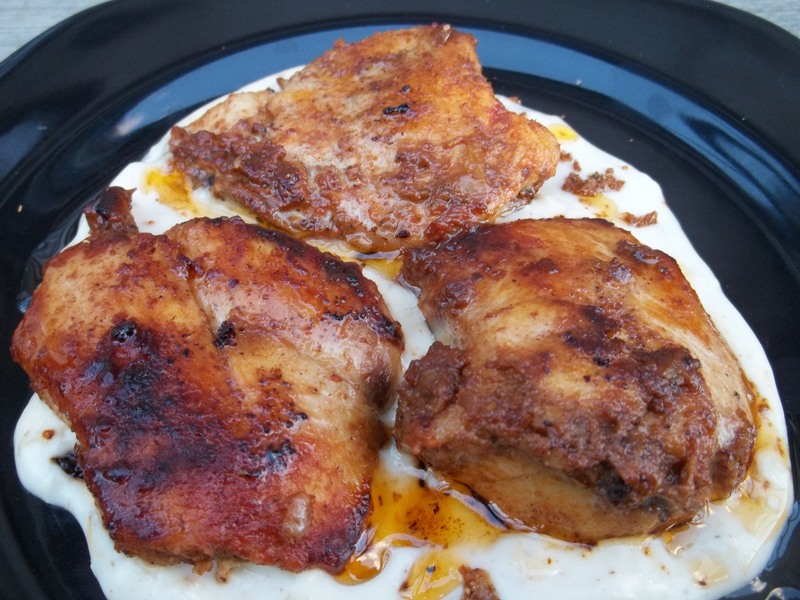 Ingredients: 500 grams of chicken breasts, 1 and a half tbs of Svanetian Salt (click here to see a recipe), 150 grams of mayonnaise, 3 cloves of garlic, 1 tbs of tomato puree and 5 tbs of oil. 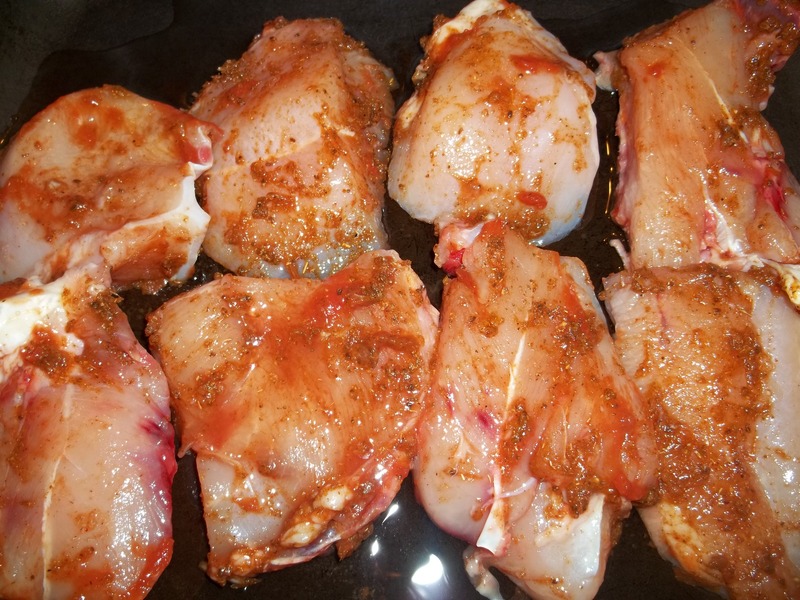 Preparation (marinade): Cut the chicken into medium sized pieces and add to a bowl. 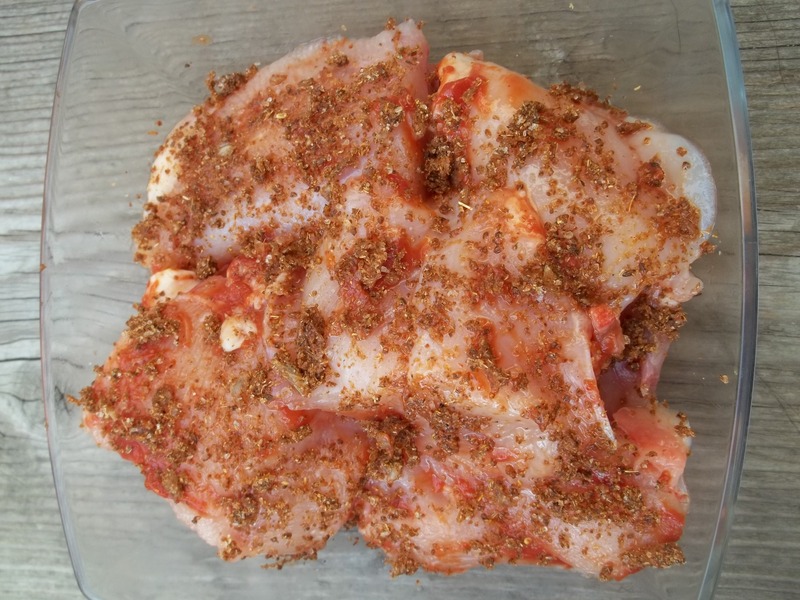 Rub the chicken pieces with the tomato puree and sprinkle 1 tbs of Svanetian salt on the top and bottom of the chicken. Cover and leave in a refrigerator for one hour. When ready to cook, add 5 tbs of oil to a pan. Heat the oil and when it is hot add the chicken pieces. Cook on a medium heat for 15-17 minutes, turning halfway through. 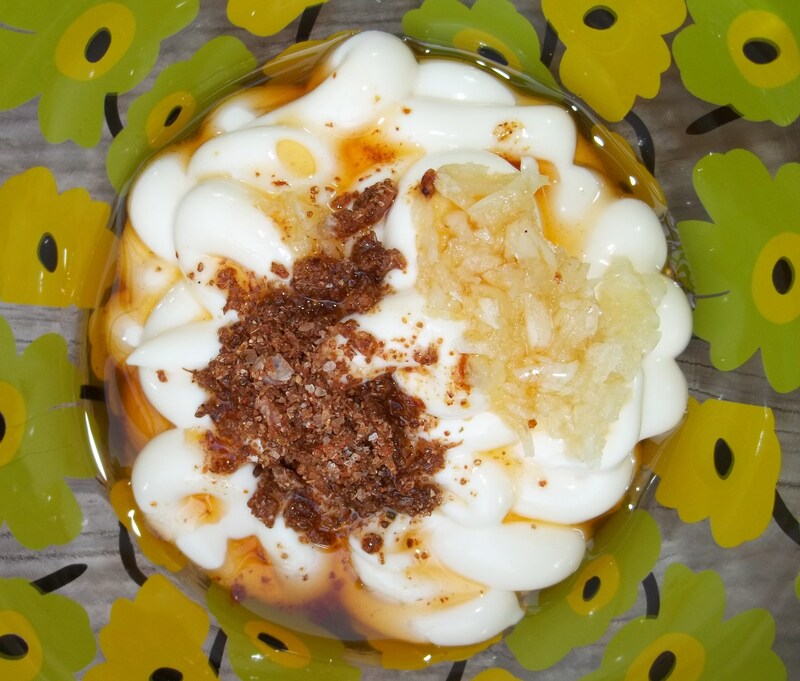 Preparation of the sauce: When the chicken has nearly cooked, take 1 tbs of oil from the pan and add to a mixing bowl, together with 150 grams of mayonnaise, half a tbs of Svanetian Salt and 3 crushed garlic cloves. Add 4 tbs of boiled, cooled water and stir thoroughly. Serving: Serve the chicken hot on a bed of cold sauce. Enjoy your chicken flavored with Svanetian Salt!